Property 3: Welcome to the Vermont Escape! Beautiful Ski Condo Between The Two Sugarbush Ski Areas. 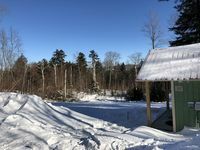 Property 4: Beautiful Ski Condo Between The Two Sugarbush Ski Areas. 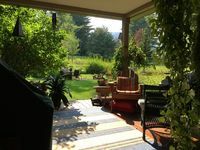 Property 9: Bright condo w/ shared pool/sauna/tennis, 2 miles from Sugarbush Resort! Property 11: 7 private bedrooms. 4 1/2 baths. Within 1/2 mile to restaurants and shops. Sugarbush Slopeside Condo with every amenity! Property 24: Sugarbush Slopeside Condo with every amenity! Charming A-frame w/ deck & fireplace - walk to the lifts & ski home! Property 35: Charming A-frame w/ deck & fireplace - walk to the lifts & ski home! Property 38: Cozy home w/ great deck, jetted tub & fireplace - watch the leaves change! Incredible mountain view home w/ hot tub, large deck & fireplaces - near skiing! Property 49: Incredible mountain view home w/ hot tub, large deck & fireplaces - near skiing! They did a wonderful job building this home away from home. It&rsquo;s in a great location and had everything you might need for a little adventure. I loved my stay there, the owners were easy to get in contact with and very polite. I will definitely be back! Classic Vermont country experience. Perfect for our needs (three couples). Very close to Sugarbush and Lawson's Finest liquids... who could ask for more? Colin was an excellent host. Very well organized. Thoroughly answered advance questions which helped in our planning. Check-in checklist was flawless. Will definitely be back again!